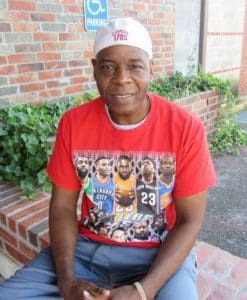 Fifty-Three-year-old Rickey Woods is an Arkansas native and Army Veteran. Born and raised in Crossett, he enlisted in the National Guard in 1987 and shortly after joined the Army. 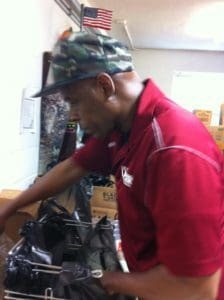 A supply specialist, he was first stationed in Germany, then Fort Leonard Wood, Missouri and finally served in Korea before he left military service in 1992. Mr. Woods, know that you will always be part of the St. Francis House family; we’re so glad you are with us!